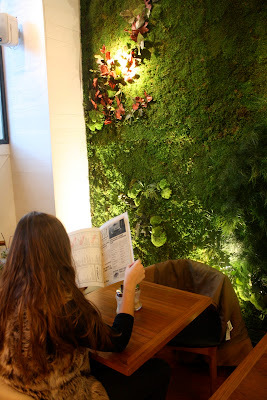 In the heart of one of Madrid´s most animated neighborhoods, La Latina, exists a very enchanting cafe...Within this eclectic yet classical cafe, you will find a vertical garden, a maze, and art nouveau-like pieces all wrapped up and splashed onto a minimalistic architectonic backdrop...No wonder it is called LA MUSA (THE MUSE) ;). 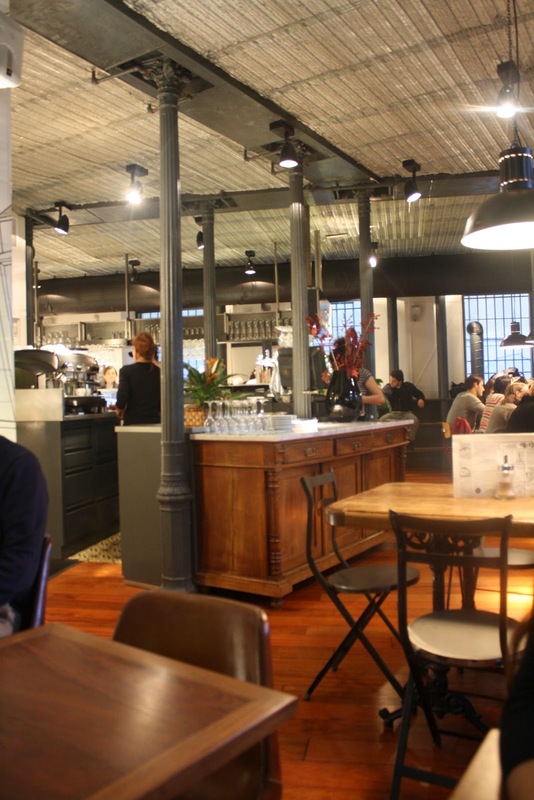 In the mood for a café con leche or a copa de vino tinto? 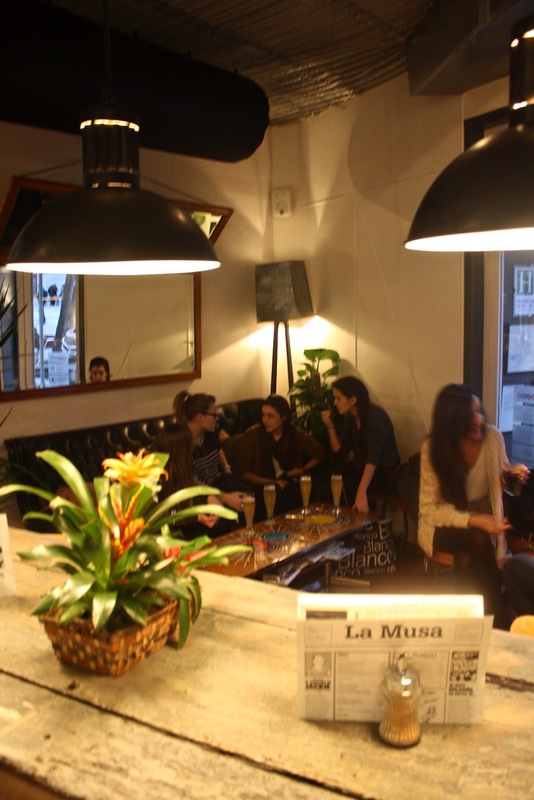 At La Musa, the ambiance maintains an informal setting as it plays host to groups of friends, couples and faithful Sunday La Latina locals. Long iron lamps hang from the ceiling to produce a dim light, making the setting even more intimate than it already is. The focal point of the interior is the vertical garden that lies to the left of the entrance. The interior decor is so unique that I myself felt like a modern Alice in Wonderland while sipping a cup of coffee one Sunday afternoon. 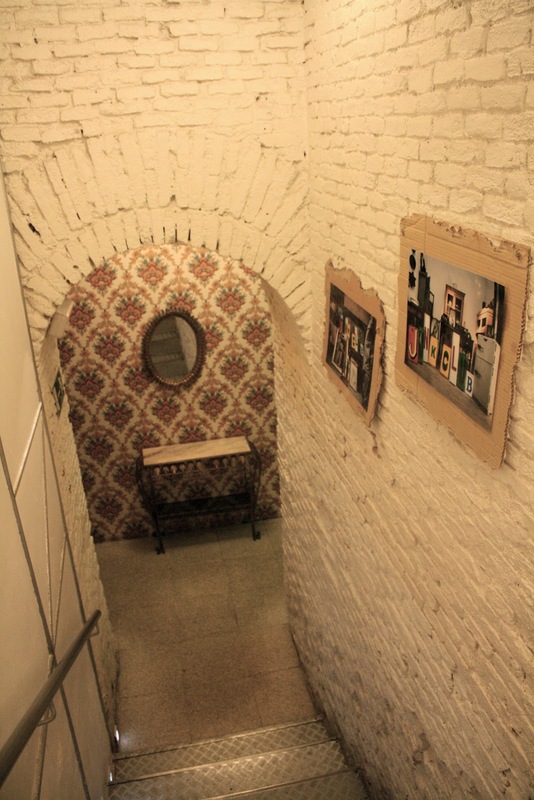 Come get lost in La Musa yourself if you feel like some classic tapas or a casual dinner. 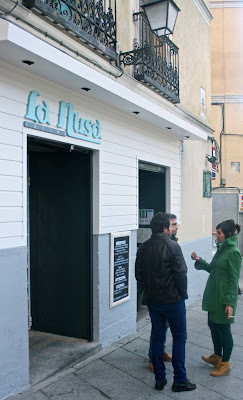 You can find La Musa at plaza de la Paja,one of La Latina´s most quaint and less hectic spots to be!